Aeroflot, Russia’s largest airline, is expecting to receive its first Airbus A350 widebody airliner in 2019, not in 2018 as originally planned. The carrier’s IFRS report for H1 2017 reads that deliveries are scheduled to continue until 2023. Aeroflot Deputy CEO Giorgio Callegari said in summer this year that the airline was planning to start receiving the airliners in the last months of 2018. 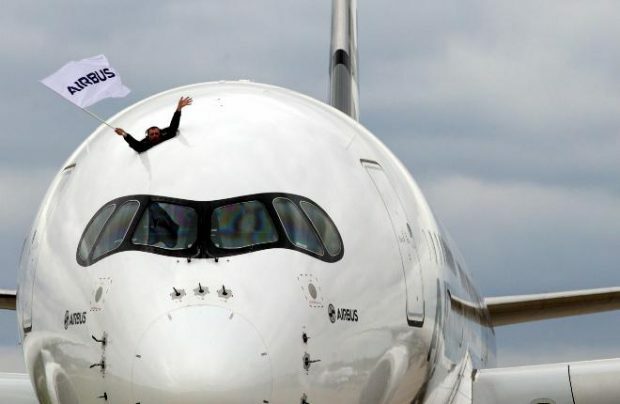 According to him, the carrier will eventually take delivery of 28 A350-900s. The H1 report only mentions 22 aircraft, which is how many the airline ordered initially (14 A350-900s and eight A350-800s). In early 2017 Aeroflot disappeared from the list of Airbus’s A350-800 buyers, as development of this version was frozen due to low demand. The number of A350-900s ordered by the company remained unchanged at 14 aircraft. The carrier did not reply to Russian Aviation Insider’s inquiry as to why the changes to the order were not included in its report. Nor did it comment on the fact that the report still mentions the order of 22 Boeing 787s, which was ceded to Russian lessor Avia Capital Services last year. According to the IFRS report, the airline expects to receive these aircraft in 2017. As of August 1, 2017 Aeroflot’s widebody fleet consisted of 16 Boeing 777s and 22 Airbus A330s. According to Callegari, the A350s will replace the A330s, whose lease term is expiring soon. The airline is also planning to lease an additional six 777s.